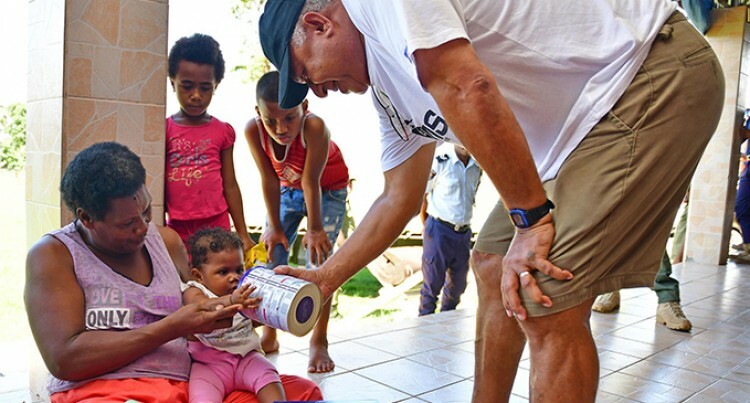 Prime Minister Voreqe Bainimarama yesterday issued a warning to all Government officials not to abuse the distribution of food rations to Fijians affected by Tropical Cyclone Keni. Mr Bainimarama revealed in Tavua that he was informed of an allegation by a Govt official in Labasa. He said he was told that a Government officer in the Northern Division had allegedly distributed food rations in an area that was not affected by Cyclone Keni, in exchange for bags of cassava (root crop). Mr Bainimarama was distributing food rations to more than 90 families affected by the cyclone at the Tavua District School evacuation centre. “I have warned the Government officials about the abuse of authority in the distribution of rations to the people especially from the help provided by the Government. You know this rationing is not only food, but water and the services provided by the social welfare. People must not take advantage of that,” the PM said. Commissioner Northern Jovesa Vocea, when contacted yesterday said he was not aware of the issue highlighted by Mr Bainimarama because there weren’t many people in Labasa who were affected by the cyclone, and the distribution of the food rations wasn’t that much. When questioned on the actions that could be taken, Mr Bainimarama said he had called for an investigation to be carried out on the alleged incident. “The Commissioner is doing an investigation right now and the person accused will be removed, it’s that simple,” the PM said. Nabuna villager in Tavua, Alanieta Vuenadi, 45, thanked the Government for the help and allowing them to take shelter at the Tavua District School.